WordPress is incredibly powerful, but with great power comes the potential for overwhelm. If you want to build a website for your business, it can be difficult getting over that initial ‘hump’ of familiarity with the world’s favorite content management system. The best way to harness the power of WordPress is to use a tool that brings everything together for you in one place. We created Avada as our go-to solution for getting a comprehensive website up and running with as little hassle as possible. Would you believe that you can get a customer-ready WordPress website up and running in under 30 minutes? With Avada you can, and in this post we’re going to show you how. We’ll assume that you’ve already got a WordPress website up and running already, but if not, here’s an in-depth guide to get you started. The first step is to login to your admin. You can usually find your login page by adding /wp-admin/ to the end of the domain where you have WordPress installed (e.g. http://yoursite.com/wp-admin/). Once you have logged in, go to Themes > Upload Theme and upload the ‘Avada.zip’ file that you can find in your ThemeForest account. After the theme has uploaded, you’ll be directed to a welcome page that contains a few different pieces of information. First, you’ll see a notice letting you know about the plugins that help Avada to run properly. Click Go Manage Plugins to get to the next required step. Our ThemeFusion development team adhere to very strict WordPress and PHP coding standards – that means that themes handle the way your site looks and plugins handle the functionality that fuels those themes. This enables our products to work with WordPress long into the future. In order to do that, we bundle the Avada theme with a few plugins to help add the features that make this theme so great. Fusion Core is the only required plugin for the theme to work. You’ll need to start by installing and activating this one first. There are additional recommended plugins that allow you to benefit from the full suite of features that Avada can offer such as Revolution Slider. These recommended plugins should only be installed and activated if you plan on using them. Once your plugins are installed and activated, Avada is ready for action! Next, you will register your product. To do this, navigate to the Avada >> Registration screen. If you aren’t familiar with demos for WordPress themes, here’s a breakdown of what they are and why they’re useful. Demos are pre-built layouts, content, and images that create a complete site with customized styles that fit a certain look and feel. You can use demos to generate a full fledged website in seconds, leaving you to simply replace the ‘fake’ content with your own ‘real’ content. You can find our demos by visiting Avada > Install Demos, where you’ll see all the different choices. Use the Preview button to see them in action before installing the one that works best for your needs. Once you’ve hit Install for your choice, you’ll need to wait a moment for the data to import. Once it’s finished, you’ll see a notice that you may optionally regenerate your thumbnails using the Regenerate Thumbnails plugin. If you have already posted content to your WordPress site, this is an encouraged step as it ensures your images will be the correct size with the Avada theme. However, this step is not required. WPBeginner has a great tutorial to help you use this plugin! If you visit your website now, you’ll find that you are looking at an exact replica of the demo site you chose. Now it’s time to take that and make it your own! To get started, you should brand the website with your logo. Go to Avada > Theme Options and find the Logo tab. Here, you’ll see two main options for you to update: your default logo, and your retina-ready default logo (a version of your logo saved twice as big as your normal one). If you’re a little confused about what retina-ready means and why we ask for two sizes of your logo, check out this article. You can also pick a color scheme that matches your branding a little more closely than the default by choosing the Styling tab and selecting a Theme Skin and Predefined Color Scheme. This will change all the color options to that specific scheme, however you can also adjust any individual color for all the various areas of the theme through the advanced theme options panel. Up next, you’ll want to customize your homepage. We’ve preloaded the it with default content, but your website will call for specific information about your business, naturally! To find the homepage generated by the demo, go to Pages > Home and click on Home to edit it. Here you will find Fusion Builder, which enables you to create complex webpage layouts with simple drag-and-drop editing. Below is an example of what a page looks like in Fusion Builder. On the front end, you will see the exact same setup compared to what Fusion Builder was displaying. What you see is what you get! delete everything and build a layout from scratch. If your content is already written, it should only take a few moments to copy and paste everything into your home page once you’ve chosen a layout. Use Fusion Builder to create a beautiful layout (or import a demo layout). Once again, if you’ve prepared your website content ahead of time, this is a quick matter of copy and pasting your old content into the new layout with Fusion Builder! At this point, you have a full website. Your site is fully branded, fully functional and includes your content. Now that you’ve laid the foundation for your business website, it’s time to start looking forward. Make sure that you’ve installed Google Analytics to see how users are behaving on your site. This will help you optimize your designs, content, and calls to action for higher conversions and better performance. You can do this by going to Avada > Theme Options > General Options and entering your Google Analytics code into the Tracking Code box. Of course, there’s much more that you can do (and we cover all sorts of things here on the Theme Fusion blog, so be sure to subscribe! ), but what we’ve done today is got you started with a site that you can go public with. Not bad for 30 minutes’ work, eh? It can be a daunting task to get a business website up and running, especially when you’re switching to a new framework or using one for the first time. If you follow the above steps, you can have an website ready to go in less than half an hour. From there on out, it’s a matter of adjusting course as necessary. Avada can be as simple or complex as you’d like allowing you to setup a professional site in very little time, or customize every single aspect of it through the advanced options and tools it includes. Was getting started with Avada easy for you? Do you have any questions we can help you with? Share your experiences in the comments and we will help you make your business website as amazing as it should be! to import demos, i need the following system status issues fixed!! I am new to this thing!! please help. 40 MB – We recommend setting memory to at least 128MB. To import classic demo data, 256MB of memory limit is required. 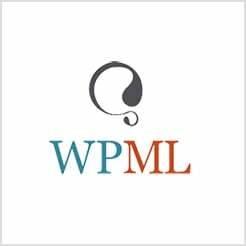 Please define memory limit in wp-config.php file. To learn how, see: Increasing memory allocated to PHP. 30 – We recommend setting max execution time to at least 180. To import classic demo content, 300 seconds of max execution time is required. 1000 – Recommended Value: 1540. Max input vars limitation will truncate POST data such as menus. See: Increasing max input vars limit. ZipArchive is not installed on your server, but is required if you need to import demo content. Hi all. What happen if I import a demo in a existing website? I mean, it will become a confused mix of old and new page, post, image, etc. or I’ll have the time to choose which content to show online? Anytime you import a new demo it will import additional pages, posts, etc. The theme option settings will be changed to support the new demo. A former client asked me to intervene w/ problems on their website. Unfortunately, they’ve had the site changed to Avada/ThemeFusion since I last worked it (almost 3 yrs ago), so it’s pretty much a mystery to me now. The person who made the change to Avada is no longer in the picture — is there anyone who will take pity on me or them and tell me what my options are at this point? Our support team will surely help with any questions you have, however you will need the purchase code to setup a support account. The purchase code is your receipt needed for verification, Once you have that (whoever bought it from themeforest will have it) you can signup for an account and get started. The only othere option would be to purchase a copy again and set up your own purchase code. Ifd you do that, you do get lifetime updates.